Do you have problematic, acne-prone, sensitive, troubled skin? While some people are born with good skin, most of us require special care because of genetics. 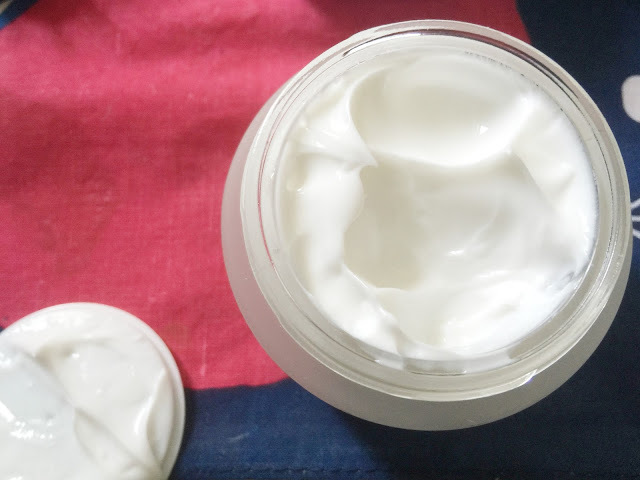 Our high-fat diet and highly-stressful lives mean that we are more prone to breakouts and that we should be absolutely stringent with our skincare regime. Honestly, I've really failed in keeping to my extremely basic 3-step regime (cleanse, tone, moisturise) because when I don't see results, I don't feel motivated. 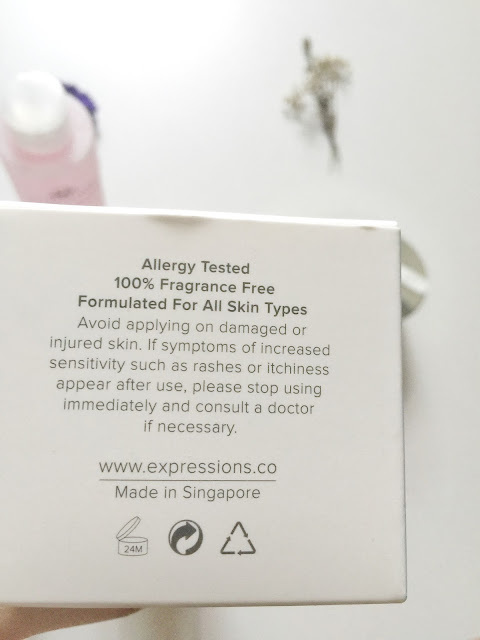 I got the Hydrating Facial Care Set from Expressions, which consists of a cleansing milk, a Hydrating Floral Fresh and a 24-hour moisturising cream. On promo offer, it costs S$42 (instead of S$96). If you don't already know, my skin profile is acne-prone, highly sensitive, oily yet dry (combination). It's a minefield on my face, so it's absolutely difficult to find great facial products. Ylang Ylang extract helps to control oil production and minimize breakouts. It also helps regenerate skin cells, smoothing fine lines and improving skin elasticity. Another great essential oil for every skin type. It helps improve skin elasticity and soothes redness. Geranium essential extract helps regulate oil production and reduces acne breakouts. It also helps improve skin elasticity and tighten skin, reducing the appearance of wrinkles. Rich Sweet Almond and Soya Bean Oils nourish dry and dehydrated skin. My experience: Initially, I didn't know what the ingredients were and proceeded to use it straightaway because my cleanser ran out. There was a very slight hint of herbal fragrance from the Ylang Ylang extract. 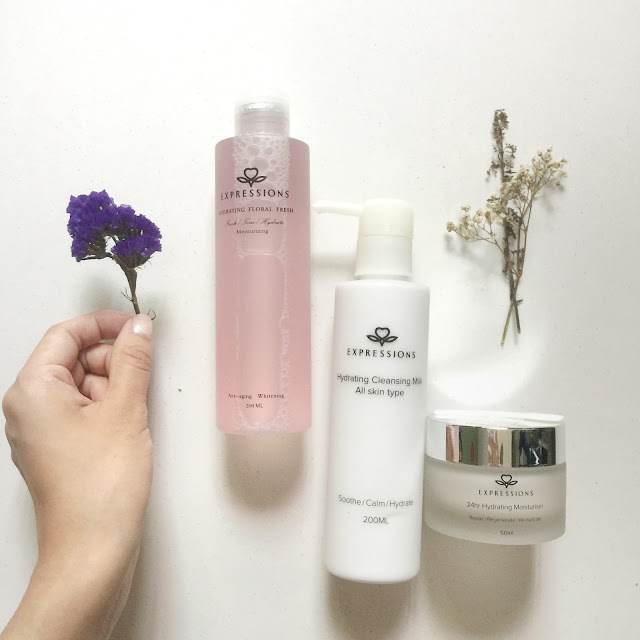 The cleansing process was 100% enjoyable— I felt that my skin was REALLY REALLY clean without that dishwasher, squeaky or overcleansed feeling. In fact, my face felt so smooth, moisturised and supple. This is how I feel when I go for a really good facial, and according to the therapist, she said that this is the same cleanser that they use for facial. My friend Joyce was the one who introduced me to the world of Toners— she said Toners are extremely important. Contrary to popular beliefs (or at least, what I used to think), toners DO NOT close up your pores. It actually kills bacterial and removes all make-up residue (yes, there's always remnants of make-up left on your face even after you double-cleanse). The Hydrating Floral Fresh is more than just a toner. Toning and relaxing : it regenerates dull and devitalized skins. Firming : it has an anti-aging effect. 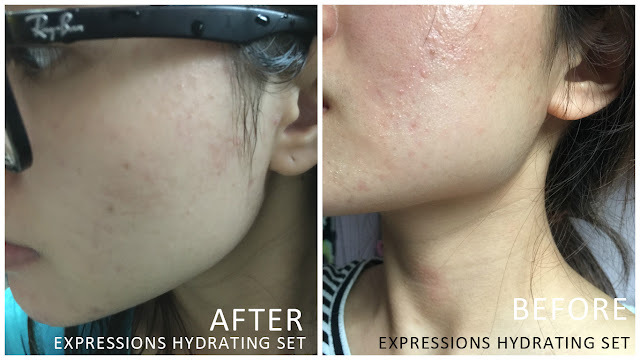 Softening : it is very suitable for dry and sensitive skins. Its retentive effect of tissues enables it to prevent wrinkles and erase the marks of fatigue. Astringent and purifying, it also gives a new glow to oily skin. I really loved that you can put the hydrating floral fresh into a spray container and use it to spray to moisturise the skin. This is especially good if you're going to Japan or France, or any place with extremely dry weather. This cream was supposedly light-weight. The creams that I have previously tried before are usually heavy, sticky and oily. It makes me feel really uncomfortable when I go to school because it only takes a few hours before my skin gets really oily. *sighs* However, I felt that this cream is not as lightweight as it claimed and perhaps cream is just not suitable for me. Look at how my skin glows with the moisturiser! Firming: Hhighly moisturising, anti-aging effect. Its retentive effect of tissues enables wrinkle prevention. Now, the moment we've all been waiting for— the before and after pictures! These photos were taken just 1.5 hours apart today at 6.30pm and 8pm! 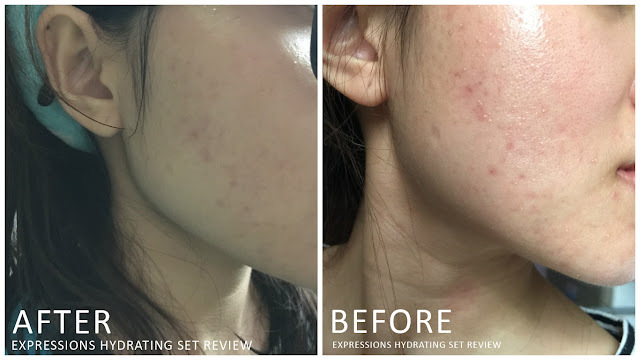 I was extremely elated to see the little bumps on my face melting away. Most importantly, the redness on my face seem to be gone. My skin also looks a lot cleaner and brighter than before. Usually, my face starts to get oily again after about an hour. It's about 9.30pm and I still feel as if I just cleanse my skin.